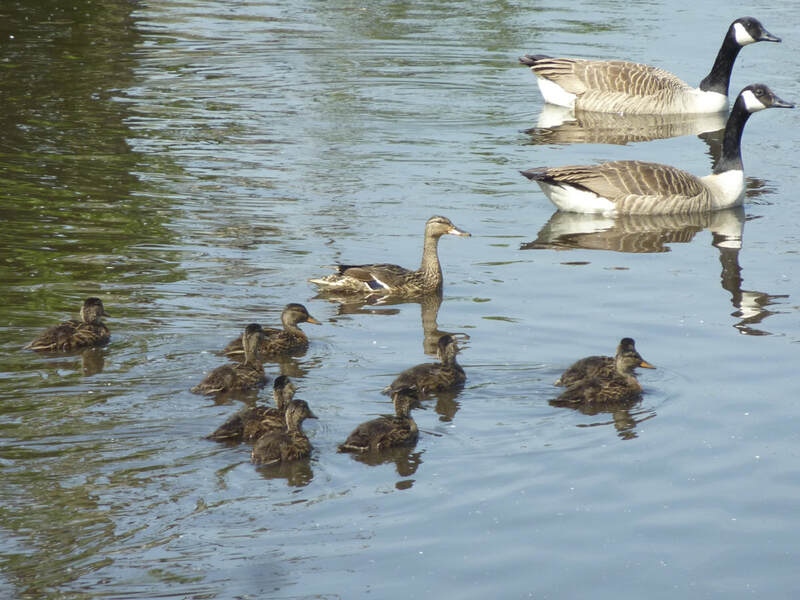 June is always a quiet month with most birds still on their breeding grounds, except for Canada Geese which arrive in large numbers to begin their moult. June is also the end of the WeBS year and 2017-18 was far from a quiet year. I will summarise the June count first and then the 2017-18 year. As mentioned Canada Geese build up on the Mersey in June. We counted 6,300 which is lower than the 8,000 we had last June or the 9,000 of July 2016, but it is too early to say they have peaked and are now declining! 1,100 shelduck is nationally important and similar to counts since March. All duck species were in very small numbers. 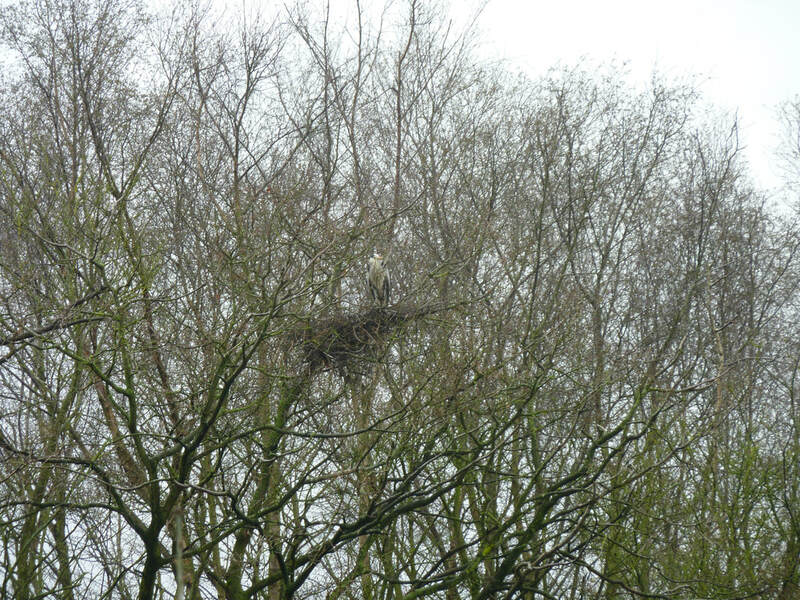 ​While not a record 379 cormorants was our second nationally important count with the birds nesting at Hale Decoy making up most of the birds. Seven hundred and thirty seven black-tailed godwits was internationally important after a complete blank in May, but well down on the 3,000 in April. 293 lapwings were the next most numerous wader species. 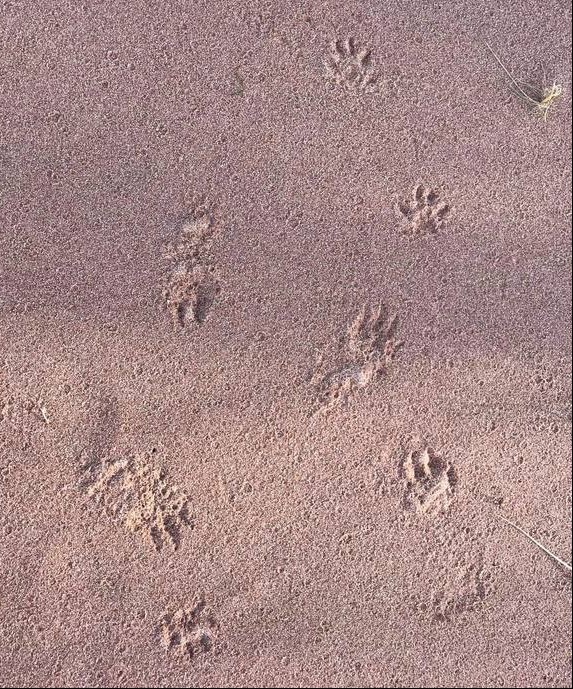 While June 2018 was uneventful the 2017-18 year had eighteen species setting new records. We had our first internationally important count of pink-footed geese; 3,500 were seen on a low tide count. On WeBS counts there were six counts with more than 300, with a maximum of 920 in April. Shelduck were present in nationally or internationally important numbers in every month expect January with the summer moult peaking at 10,500 in July. 1,000 wigeon was about usual since their sudden decline in the late 1990s when there were often 10 to 12,000. Although teal numbers were again poor 2,205 in January was a nationally important count, which is better than we managed last year. 102 pintail was the highest since 2015 but is still nothing compared to the thousands that occured between the mid 1960 and mid 1990s peaking at over 18,000 in 1981. However, shoveler are now present in internationally important numbers with a record high of 426 beating our previous record set last year of 317. 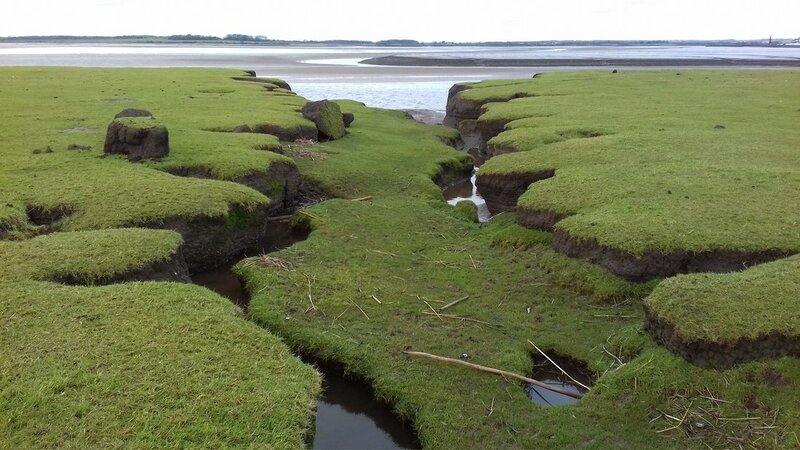 However, it is not the estuary that is attracting them, it is the dredging lagoon at Frodsham they favour. Six scaup off the Weaver Estuary equalled the previous best. A new species of duck was added to our list with two escaped Fulvous Whistling Ducks present for a few months at Frodsham! 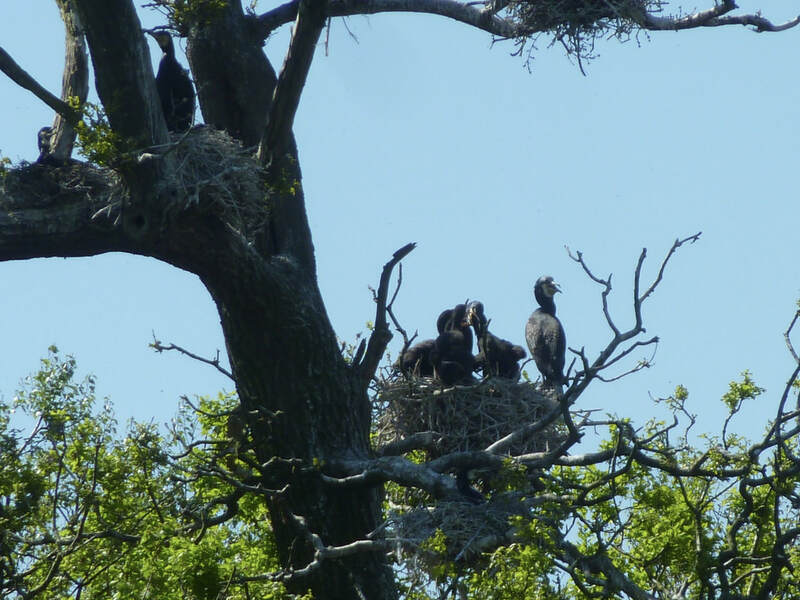 379 cormorants was our second highest count and is nationally important. We hit a new high with little egrets, 60 being nationally important. Five great white egrets equalled last year’s record. 101 grey herons was also a record, beating the previous high of 97 set in 2015. Eight water rails was another record. Amongst the waders 900 oystercatchers was our second highest count reflecting a significant increase in these birds since 2012. Thirty five avocets again, while not the highest count recently, it reflected a significant recent increase in this species. 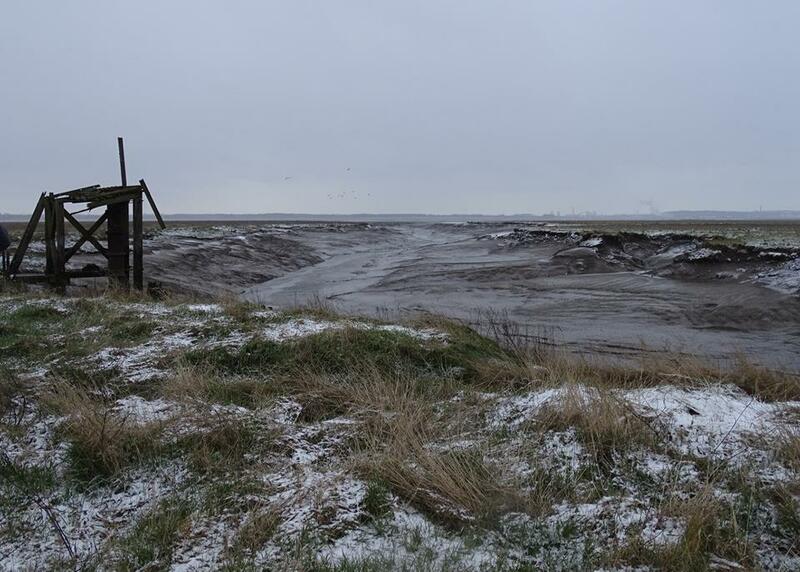 We did set a new record for ringed plover with a count at Hale of 4,000. 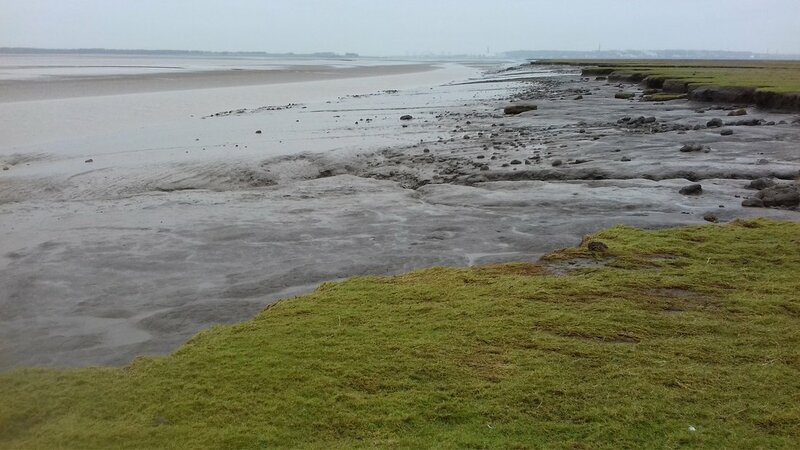 This cements the estuary as internationally important for this species, which has a noticeable spike of passage birds in August. This was a casual count outside the actual WeBS count, as this species moves through very quickly and so can be missed by a normal WeBS count. This year’s WeBS counts had 254 on the 13th August but on the 19th August there were 1,250 and then 4,000 on the 22nd. This shows the importance of submitting counts outside of the core WeBS dates. Grey plover had one nationally important count of 544. 9,000 lapwing was the only nationally important count of this species. Fifteen little stints in October was a good count and little stints were present at Hale throughout the winter in small numbers. After two record breaking counts of over 60,000 dunlin in the last two winters this year was more normal with a maximum of 40,000. 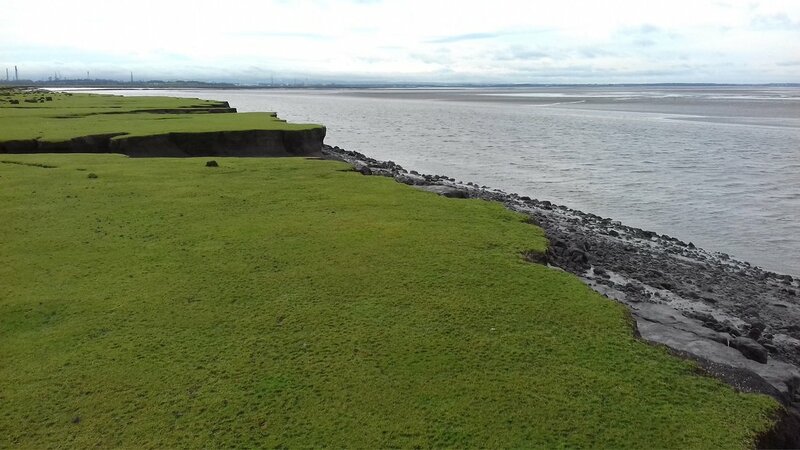 The Mersey remains the best place in the UK for this wader. October saw another record fall, this time 198 ruff was quite astonishing, they seemed to be everywhere not just in their favoured haunt of Frodsham. Jack snipe is a hard bird to count, you usually nearly step on them before they are flushed, so it was surprising to see twelve on the February count, doubling the previous maximum of six. 3,200 black-tailed godwits was internationally important and just above our average of 2,900. For redshank we have six counts above the nationally important threshold of 1,200 and two counts above the internationally important threshold of 2,400 with the highest being over 4,000. ​One species down on recent years was curlew. For the first time in 5 years we did not have a nationally important count of curlew with just 1,100 counted. 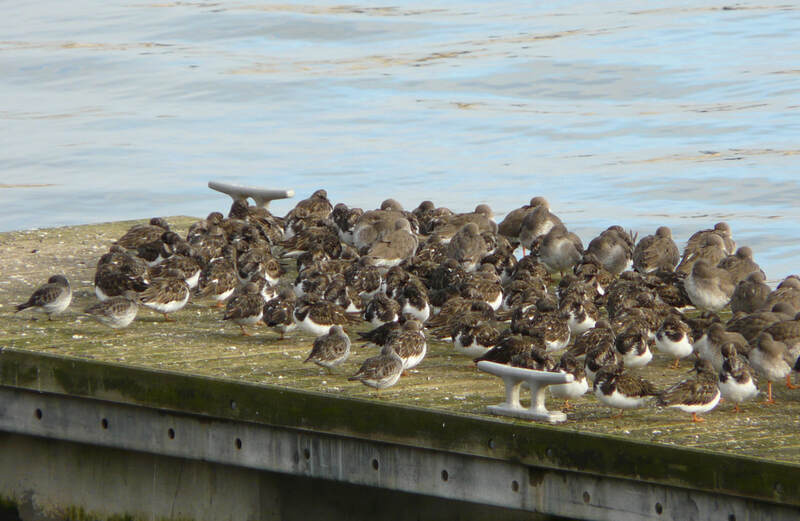 We did, however, set a new record for turnstone with our first nationally important count of 546. 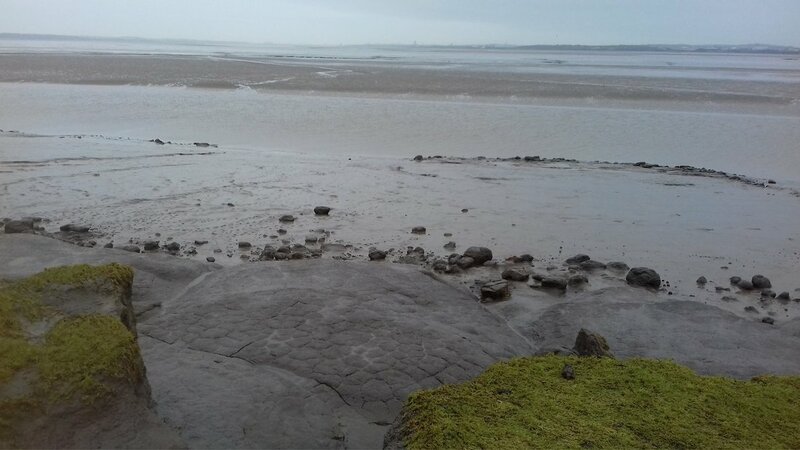 This is very pleasing as we have recently extended the Mersey Estuary WeBS site to cover all the intertidal areas of the estuary and when all these areas are combined it shows the importance of the estuary as a whole for turnstone. The estuary has fifteen key species for which the estuary is, or has been (using a 5 year average) nationally or internationally important. All except one species, teal, has shown an increase in numbers over the last five years. 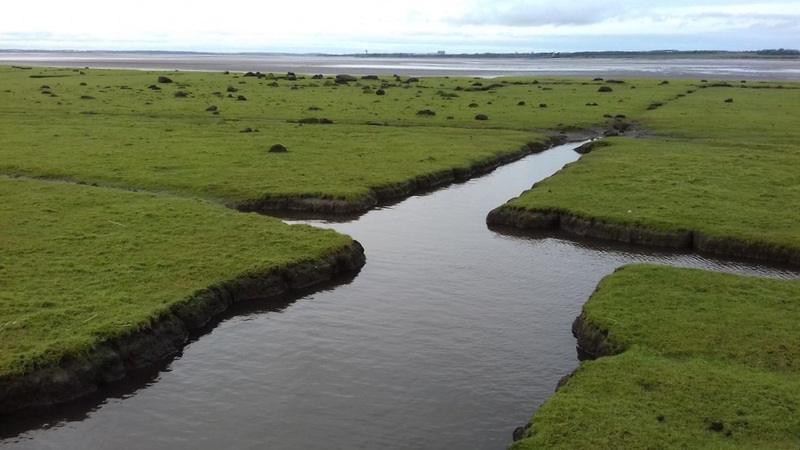 Based on the 5 year average, including 2017-18, the estuary is internationally important for 5 species: shelduck, ringed plover, dunlin, black-tailed godwit and redshank. 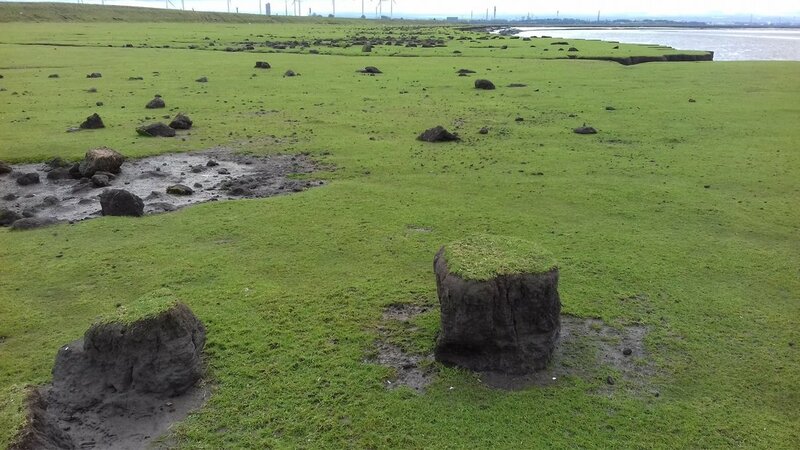 It is nationally important for 7 species: teal, shoveler, grey plover, lapwing, curlew, ruff and little stint. 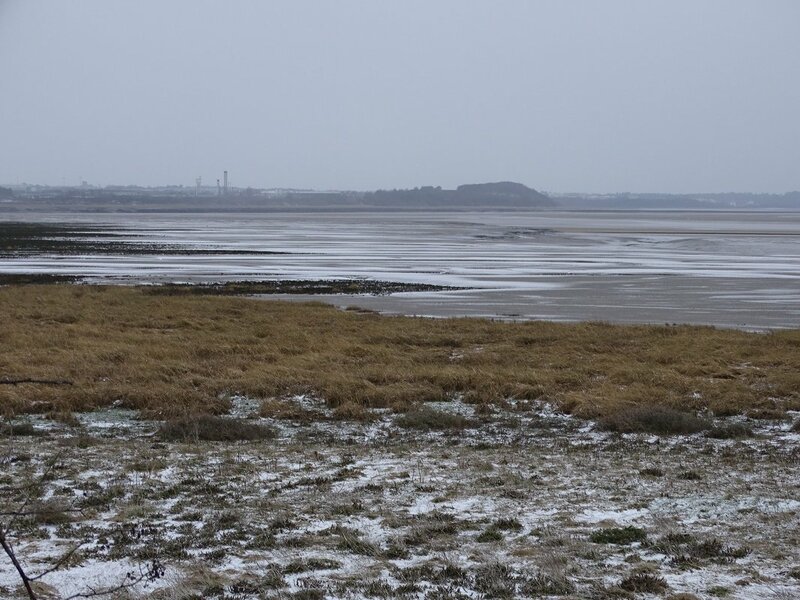 The species for which the estuary is not nationally important any more are golden plover, wigeon and pintail. 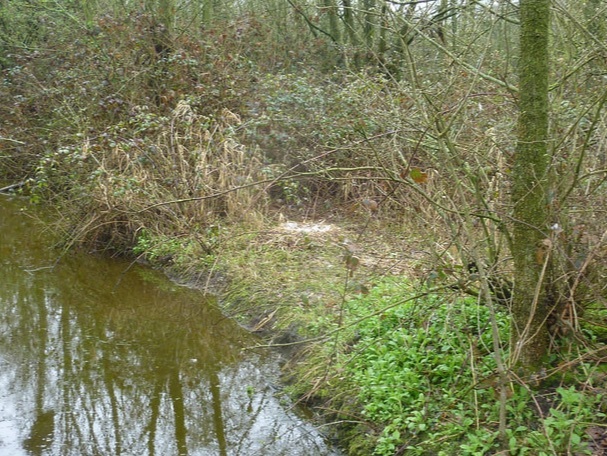 Canada Goose is a non-native species so importance thresholds are not calculated, however, the Mersey is still the best place for this species in the UK. Sometimes May can be a really good count with lots of passage waders and summer migrants, other times it can be very quiet. This May was the latter. The most remarkable birds were a pair of goosander on the Ship Canal at Eastham and two common scoter on the river also at Eastham. 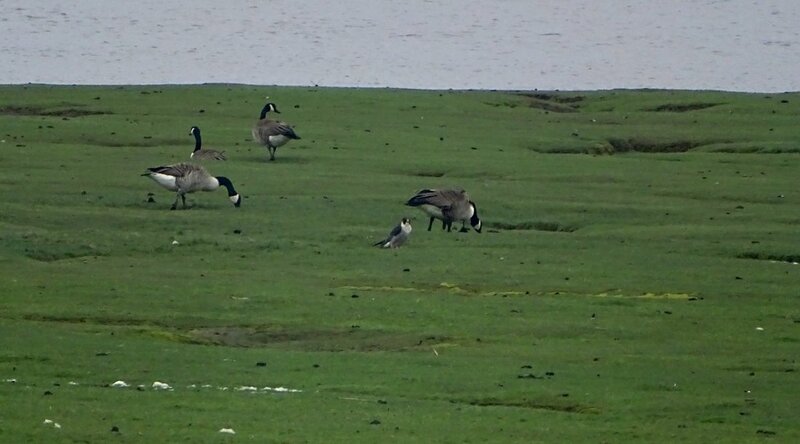 As usual Canada goose numbers were low, but that is a relative term as 740 is still a large number. 1,200 shelduck was almost exactly the same figure as we had for the past two months. However, other wildfowl were in very low numbers with no wigeon, 3 teal, 50 gadwalls, and 245 mallards. 131 tufted ducks was a reasonable count. 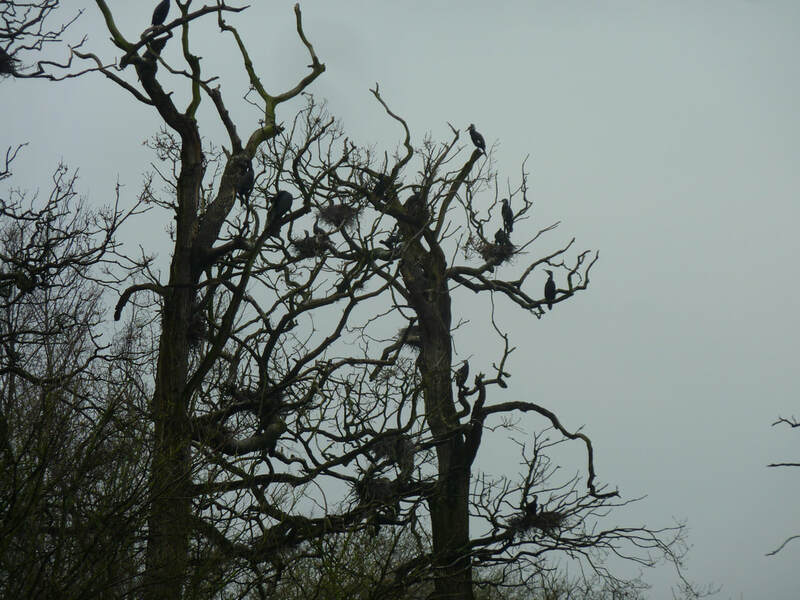 Two hundred and twenty six cormorants was a good count which included one hundred and eleven birds on Hale Duck Decoy. Waders were in short supply with just eight dunlins. 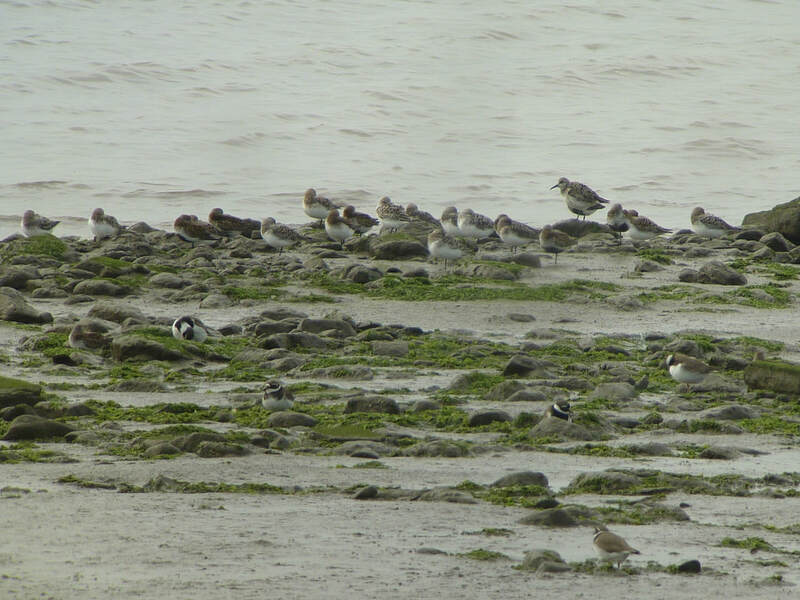 Interestingly the Ribble usually get their highest dunlin counts in May as migrants, on their way to the far north, stop off in summer plumage. They obviously have different requirements to the wintering birds as we rarely get many in May. No black-tailed godwits was unusual, though there are still a few hundred around. There were just twenty three curlews and 5 whimbrels which was very disappointing given the counts in recent years in May. Sixty six common terns at Birkenhead was a good sight as they return to breed. 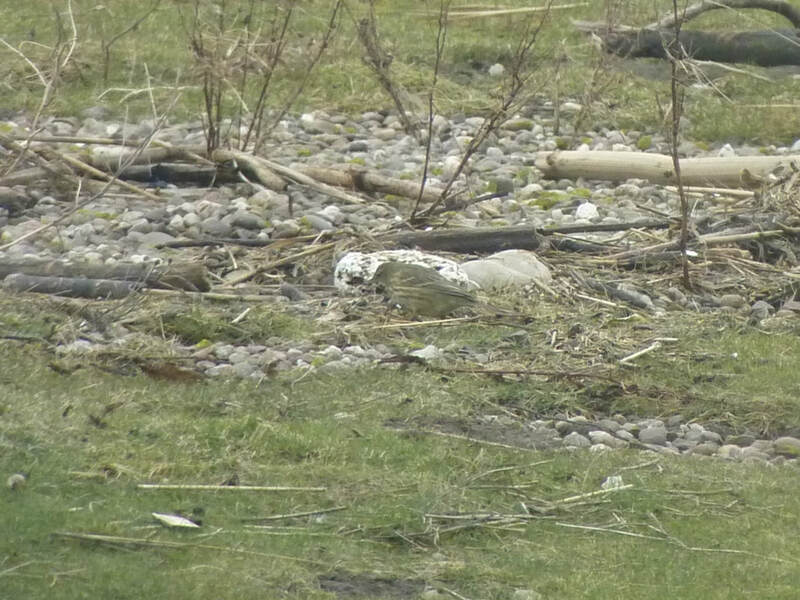 Amongst the raptors two hobbys was a good sighting at Hale. 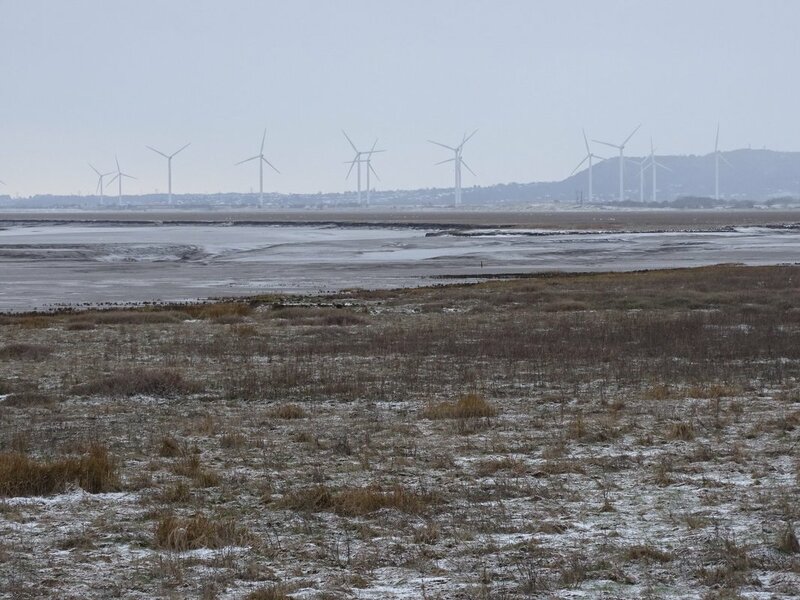 We didn’t set any new records in April though we did have our highest pink-footed goose count on an actual WeBS count with 920, but, earlier in the winter, we had 3.500 on a low tide count. 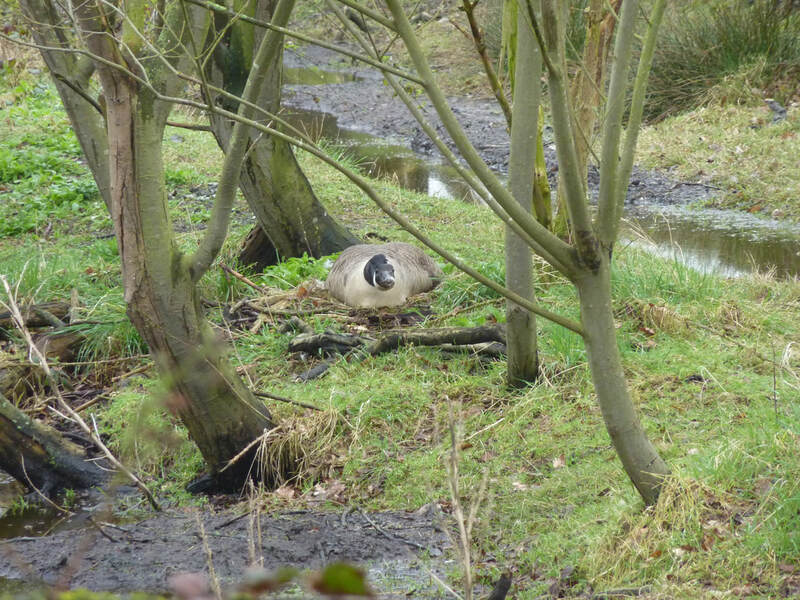 Canada goose had dropped from 2,500 to 500 as they find places way from the estuary to nest, but don’t worry I am sure they will be back in June with 10 times that number. There was also a Barnacle goose with the pink-footed geese. 1,200 shelduck was similar to last month. Most dabbling duck were in small numbers with just 36 wigeons, 450 teals, 240 mallards, 96 shovelers and 2 pintails. However, gadwall were much more numerous than normal with 108 birds in small groups all over the place. Tufted duck were at a high for '17-'18 with 237. 18 little egrets was similar to the last 2 months. Most of winter-visiting waders had departed with just 200 oystercatchers, no golden plovers, 1 grey plover, 28 lapwings, 20 knots, 300 curlews, 600 dunlins and a little stint. 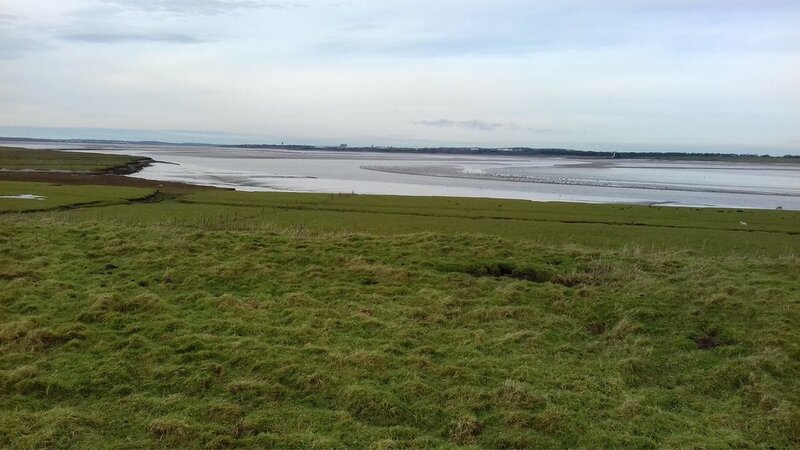 However, 40 ruff were returning birds with none recorded January or February and 4 little ringed plovers and 4 avocets were also likely to be newly arrived migrants. 3,200 black-tailed godwits were also birds moving north as they normally do in spring, this being twice last month’s count. There were also reasonable numbers of redshank with 1,100. Amongst the gulls the thing to note was that most of the 500 lesser black-backed gulls were gathered on the strip of land between the Ship Canal and the Estuary just north of the Weaver Sluices near Runcorn Docks where quite a few seem to be nesting in this very inaccessible spot. 30 buzzards was a surprisingly high number. There were a few summer migrants like wheatears and swallows and a male redstart was at Manisty. 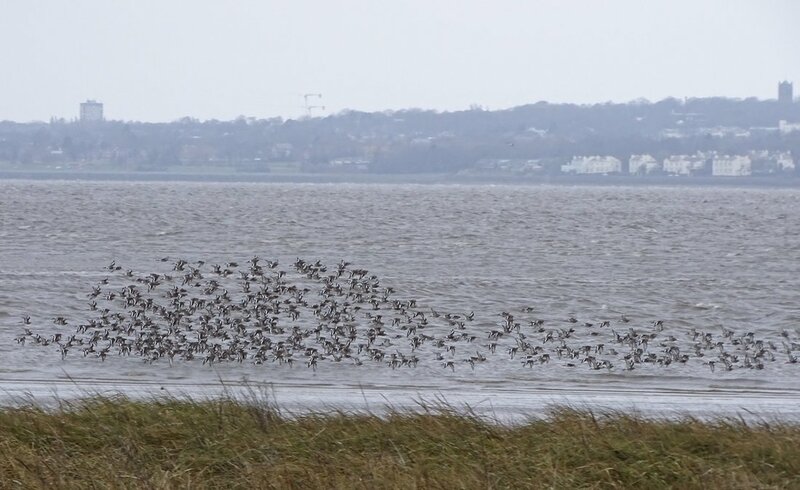 Dunlins on Hale Shore. © M. Roberts. The most remarkable thing to say about March’s count is “it was cold”. Bitterly cold with a strong easterly wind which, given the east west alignment of a lot of the estuary, meant there was nowhere to hide. 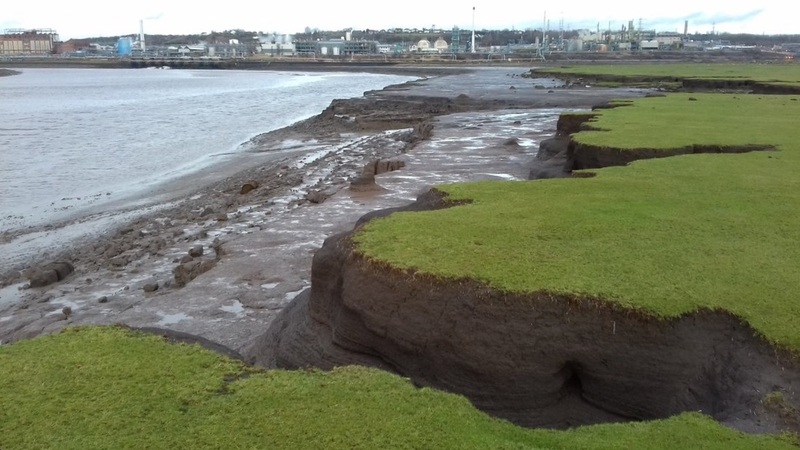 There were no record counts this month, and just one bird hitting a winter high with nine purple sandpipers at New Brighton marine lake. The record 38 sanderling at Eastham last month had stuck around with 36 still present. The whooper swans at Frodsham were not seen but six whooper swans were seen at New Ferry, flying down the river and then seen a short time later at Birkenhead Docks. ​Canada goose number have remained fairly constant at about 2.500 since October. 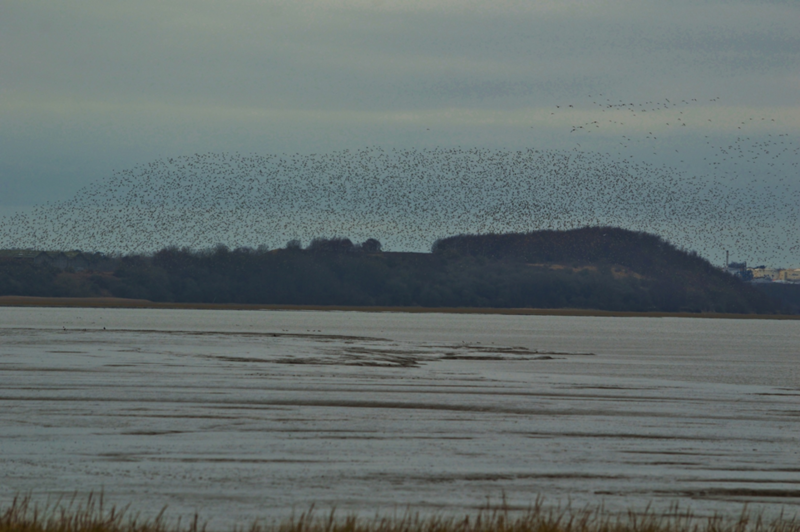 400 pink-footed geese were a sign these birds are using the estuary regularly and not just for roosting at night. All ducks species except gadwall had halved since last month as they move off to their breeding grounds. Of the waders, apart from the sanderling the most remarkable wader was a lapwing. Shaun found a dead one with a ring on. it was ringed in June 2002 as a nestling so it was nearly 16 years old. I know waders can be quite long lived, but a brief internet search has shown their average lifespan to be 4 to 6 years with the oldest bird being 24 years, so 16 is a good age for this bird. It is also a local bird, being ringed at Western Marshes Frodsham. 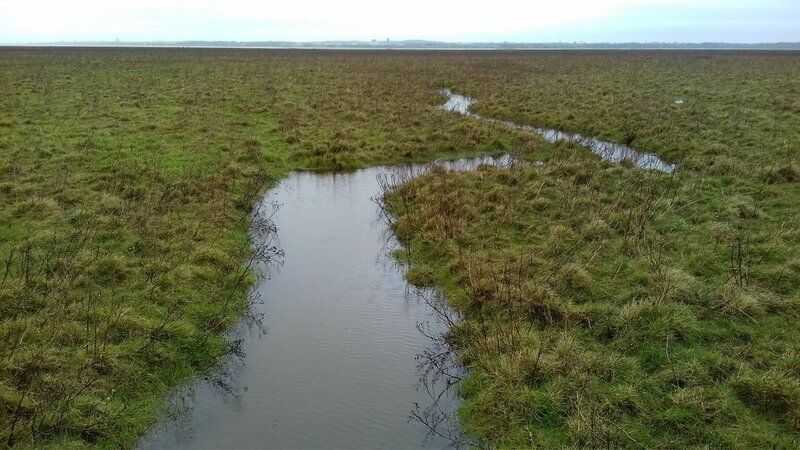 However, the gird reference given is somewhere near Nantwich, so something is clearly wrong there and I suspect it was born on Weston Marshes, Frodsham ie within a mile of where it died! Dunlin numbers had dropped from 40,000 to 10,000, which is to be expected. 1,400 black-tailed godwits were just a couple of hundred less than last month. Two common sandpipers were a sign that spring is on its way. 2,000 redshanks was our third highest this recording period. Six raptor species is to be expected this time of year. 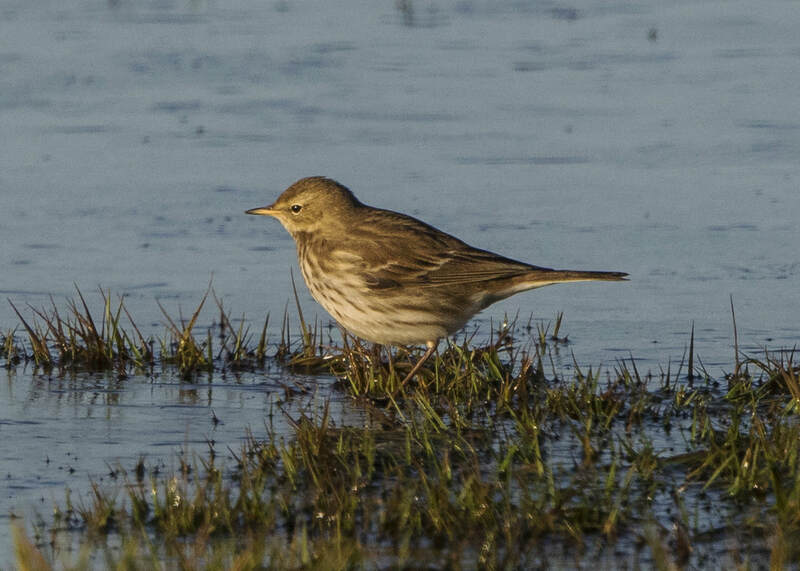 Pipits included five rock pipits on Manisty Marshes and a water pipit at Hale. I think the cold weather and strong wind meant birds were in cover wherever possible and counting conditions were not ideal. Thanks to everyone who came to the indoor meeting, we had seventeen people. I can’t believe we continue to break records each month. This month eight water rails, beating the previous seven, though I expect there are many more lurking in the reedbeds. 38 sanderlings at Eastham is more than double the previous record of 18. However, the most significant record was turnstone. We recorded 546 which is the first count that exceeds the national significance threshold of 480. 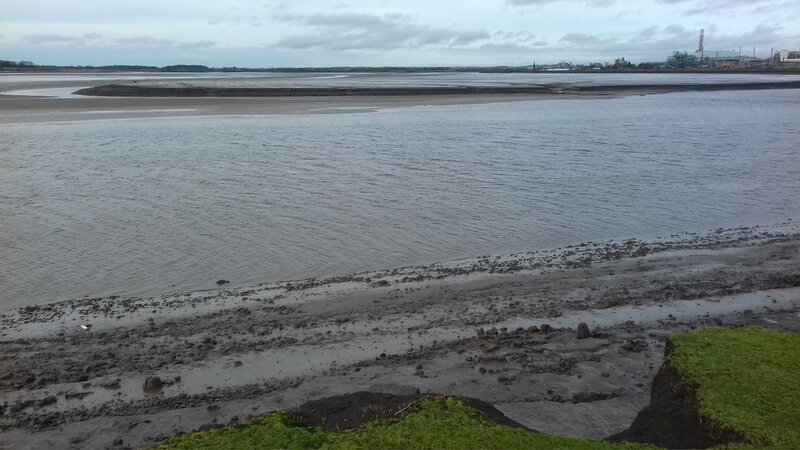 I had long suspected that the mussel beds and rocky areas around from Eastham to the Narrows and the Liverpool waterfront had good numbers of turnstone that had previously been unrecorded. 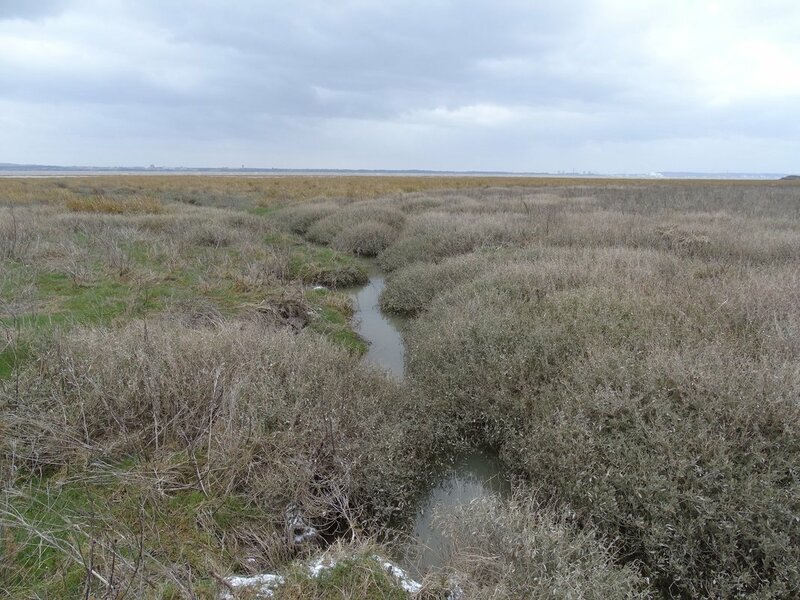 This month we had very good coverage of the estuary. 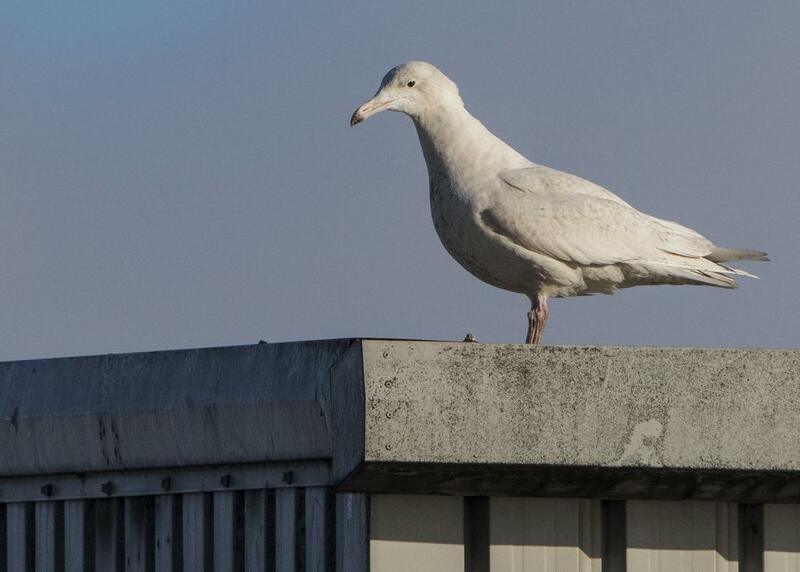 The majority of these were at New Brighton Marine Lake and so some might be feeding outside the estuary, but I suspect most will be feeding in the estuary at low tide. 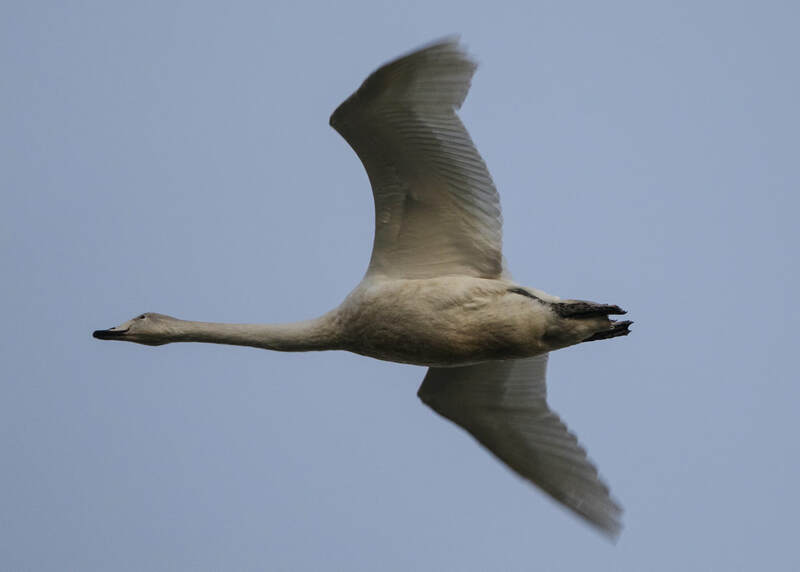 Twenty four whoopers and two Bewick’s swans were about the same as last month, but only seventeen mute swans is well down on last month’s sixty four. 740 pink-footed geese was our second count of over 700 this winter and shows that the estuary is now being regularly used by these geese. There were also four barnacle geese, but I can’t be sure they are wild birds. About 2,000 Canada geese is down on last month’s 2,600, but it did include a record 500 on the Weaver Estuary. 1,800 shelduck is a significant increase on last month’s 500 and is the largest count since we had 7,000 birds moulting in August. This month’s count was of national significance. Only 500 wigeon was half last month’s. 1,400 teal was less than last month’s 2,200. 102 pintail was our highest count since 2005, but hardly suggests a revival for this species: the Mersey was once the best place in the UK for them. Shoveler at Frodsham had fallen from last month’s internationally important count of over 400 to just 152. 908 oystercatchers was the highest count this winter doubling the 500 seen in August. Our first returning avocet of the year was seen near the Weaver Sluices. The most significant wader count was grey plover. 544 is above the nationally important threshold, something we did not achieve in the last two winters. 40,000 dunlin were back to around there more normal levels after two winters with over 60,000 followed by a leaner winter than usual this winter. 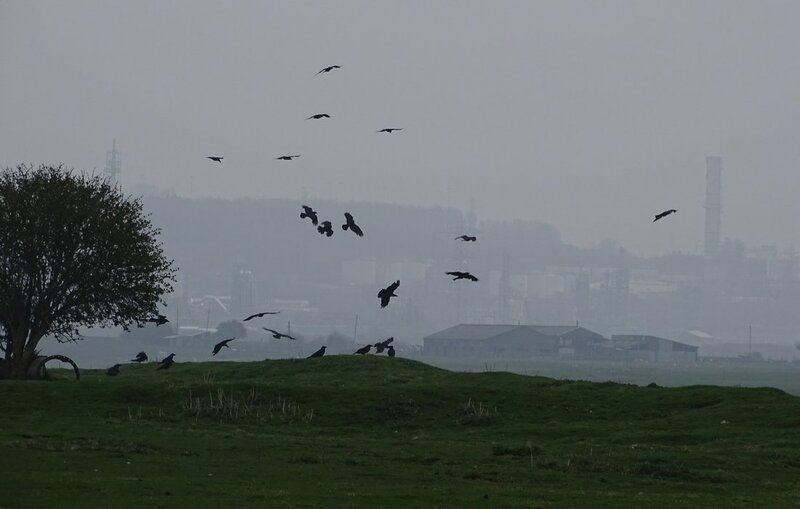 They were congregating and performing well off Stanlow Point. 1,700 black-tailed godwits was the highest count since July, they are obviously making their way back north; spring is on the way! 1,122 curlew was the highest count this winter but was below our 5 year average of 1,999 and below the nationally important threshold. 1,500 is nationally important for redshank which was similar to last month and finally a new nationally important count of turnstone was very welcome. Thirteen little egrets meant they were surprisingly scarce after last month’s 49. Two great-white egrets were seen together. In total six species of raptors were seen by me, and those counting at Ince Marshes, seeing all six. Merlin put on a very good display with two fighting in the air. The weather was miserable, continual rain tested waterproofs and it was cold - freezing in fact. However, we did manage to break two records. Last month’s record equalling six jack snipe was surpassed by a new record of twelve jack snipe flushed from Manisty Marsh by myself and Elliot. The other record was 81 greylag geese counted by John Gascoyne at Frodsham, beating the previous record of 54. Although probably feral birds there is a greylag goose that hangs around with the whooper swans which may well be a migrant from Iceland. The other remarkable count was our first nationally important count of teal for nearly two years with 2,200 which was just 100 more than the nationally important threshold but well down on our 5 year average of over 4,000. 62 mute swans was the highest this winter as were 25 whooper swans. Two Bewick’s swans were the first of the winter. 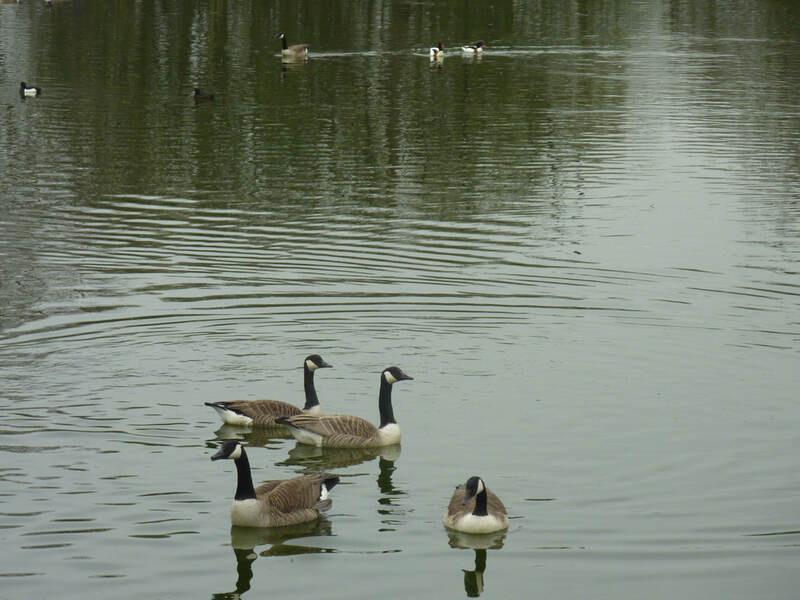 2,600 Canada Geese was almost exactly the same as December. 500 shelduck were down 100 on last month and the first count not of national or international importance. 1,000 wigeon was the same as last month. 418 shovelers was our first internationally important count actually on a webs count. Sixteen goldeneyes was the highest this winter. 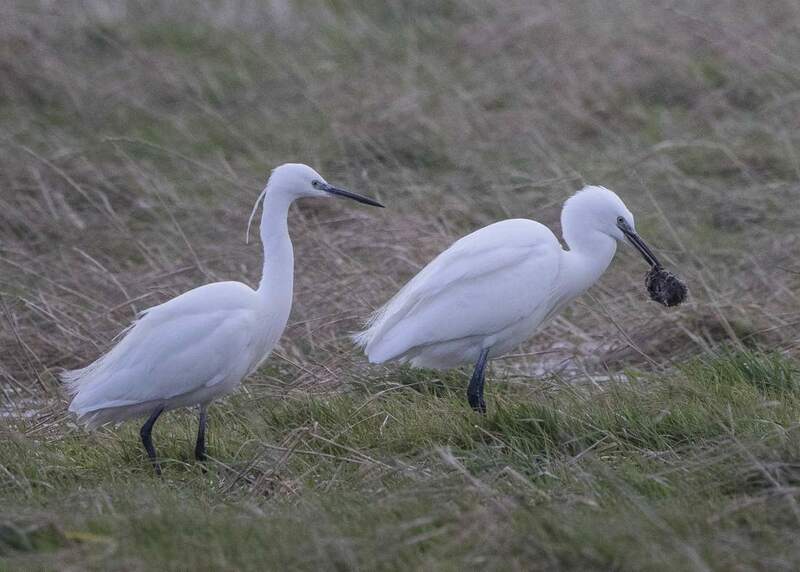 49 little egrets was our third highest count ever and was nationally important. Three great egrets is average. 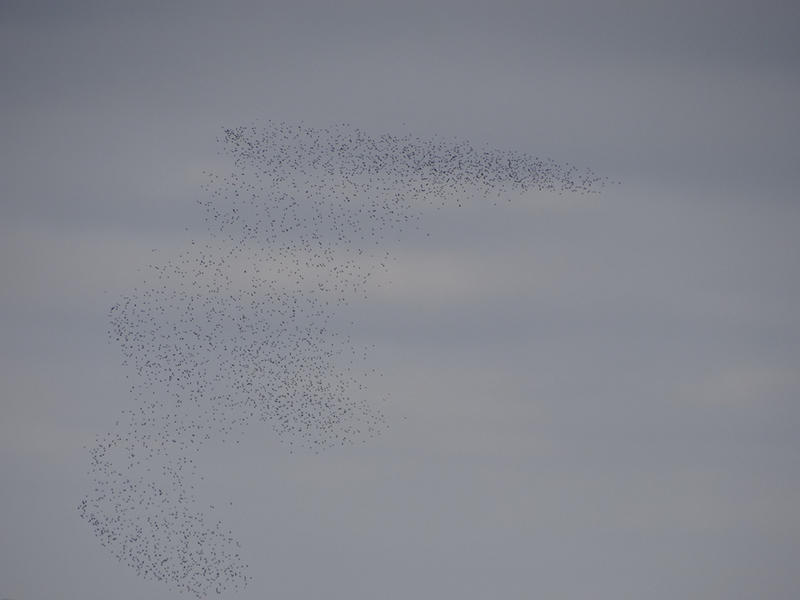 1,200 golden plovers were the highest this winter, though slightly below our average maximum. 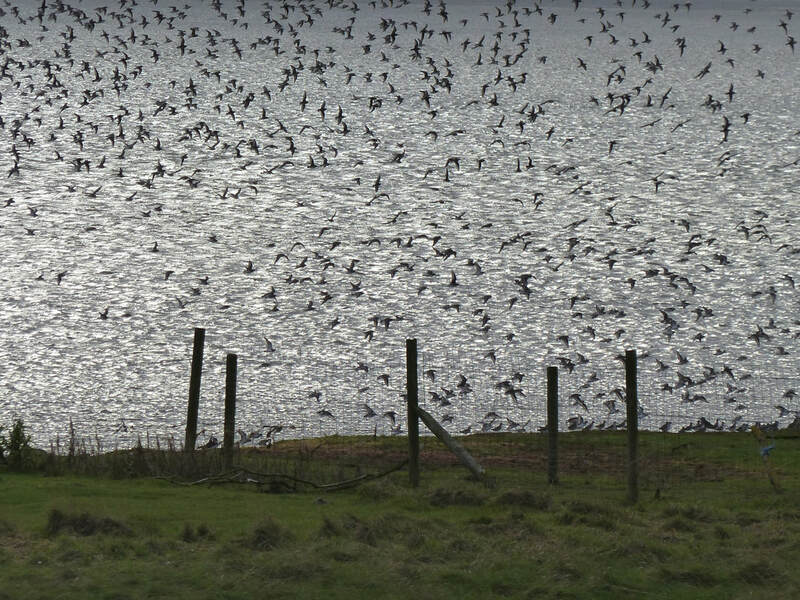 23,000 dunlins was 7,000 down on last month, well below our average of 50,000. 1,400 redshank was similar to last month and was nationally important. There was a woodcock seen at Runcorn Sands. The best bird for me was a ring-tailed hen harrier that I could just make out through the murk and my rain soaked binocular lenses. This was the second one on a WeBS count this winter, a bird that is not annual on Mersey WeBS counts. The following weekend we did a low tide count. 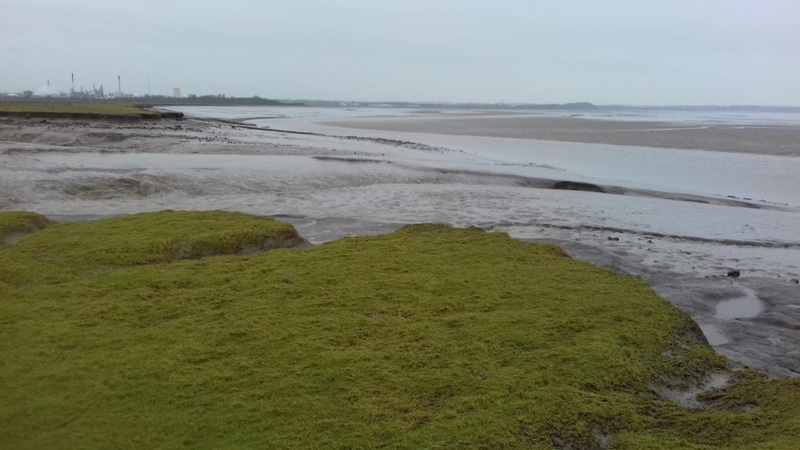 The weather was better and the mudflats were heaving with birds, particularly waders like dunlin, redshank, curlew, lapwing and golden plover. 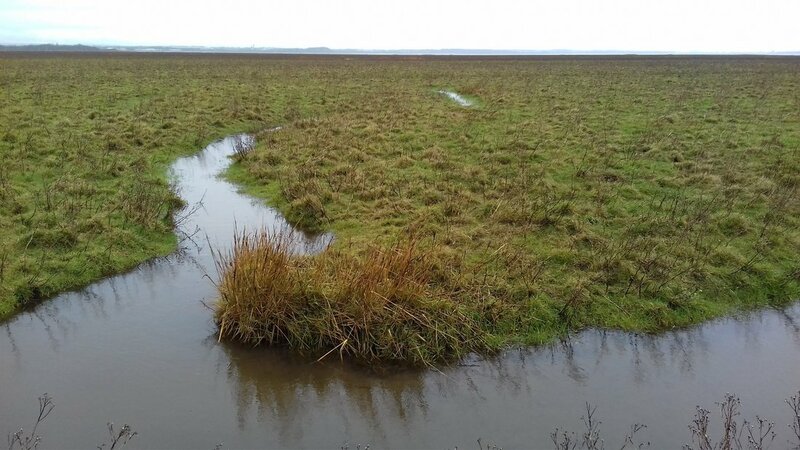 Photos taken on my phone of Ince Marshes and the mudflats during the low tide count.